Ronald McDonald House Westmead are proud to announce the team at ActronAir have come on board in supporting our Building Love campaign helping us get one step closer to building our new ‘home away from home’ for our families. 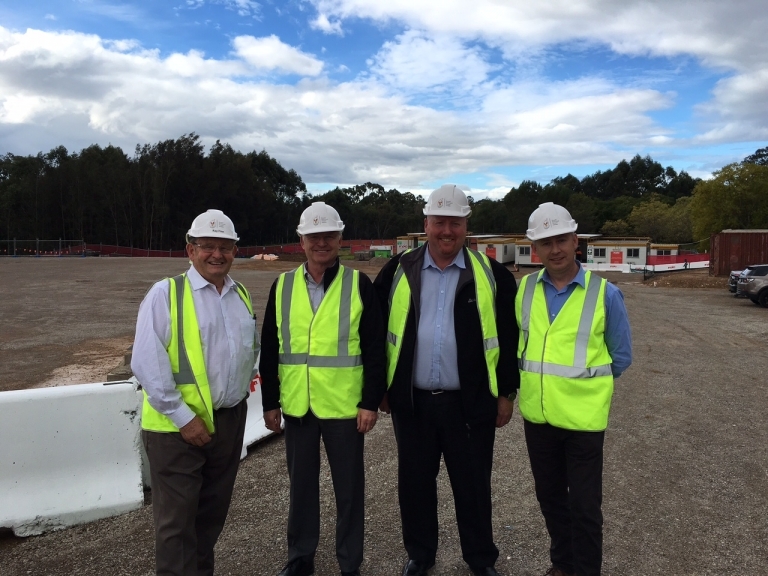 Managing Director, Norman Windell and Head of Sales and Marketing, Jamie Mair visited our site last week to see exactly where our new 60 room ‘home’ will be built. “ActronAir are very proud to support such a worthy cause. With ActronAir being an Australian family owned and operated business, families and the environment they’re living in is at the forefront of everything we do. When Ronald McDonald House Westmead approached us for help with their new facility, we saw this as an absolute privilege to help out other Australian families in challenging times” stated Jamie Mair.